Controversies • In 2015, when he was asked about female students at the performing arts establishment and views about an ideal girlfriend, he gave a controversial reply and said that, "If you're like me and you love dancers, you just have to walk up to the eighth floor and you can get one." He furthur said, "I loved going to his studio. I'd disappear into his darkroom for, like, an hour, looking for all the b**bs I could find." • In 2017, he was trolled after he tweeted in favor of controversial Rapper XXXTentacion, which he later deleted. 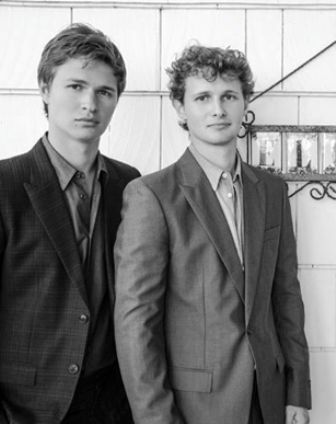 Ansel inherited artistic interests from her parents; as his father has worked as a fashion photographer with magazines like Vogue magazine, and her mother is has produced, directed and choreographed in operas. He was named after a famous photographer, Ansel Adams. His maternal grandmother, Aase-Grethe, was a Norwegian, who saved Jews in Norway from Adolf Hilter’s Nazis during the World War II. As a consequence of it, she was kept in a concentration camp prison from 1943 to 1944. As a kid, he used to watch the old movies collection of his father and eventually developed an interest in acting. In his younger days, he used to feature in his father’s photoshoots as an extra. In 2013, he made his acting debut with the Broadway play ‘Regrets,’ alongside Alexis Bledel. The year 2014 proved to be a stepping-stone in his career; as he did two big-budget movies ‘Divergent’ and ‘The Fault in Our Stars,’ alongside Shailene Woodley, both of which were blockbuster hits. He is good friends with Taylor Swift and Joe Jonas.